Great Valley participates in the Ice Line Elementary School League. The Elementary School League season runs from October through March. The season consists of 6 practices and 12 games, which begin in November. Some teams may offer additional optional team practices. All games are played at Ice Line Quad Rinks in West Chester on weekend mornings. Playoffs begin in March. The Elementary School League is available for players in K-4th grade (exceptions may be made for players in 5th grade who are new to hockey, otherwise experienced 5th graders are expected to play on the Middle School team). Multiple divisions are available to accommodate both younger/developing players (B division) and older/more experienced (AA, A divisions) teams/players. This past season, Great Valley Elementary team won the B Division Championship. Individual player registration is through the Ice Line website. See link for more information. Elementary level players can also sign up for the Ice Line Spring Draft League in the Spring. The is no Great Valley Elementary team for the Spring. The Spring Draft league features mixed teams with players from different school districts. Great Valley participates in the Ice Line Middle School League, which is operated out of Ice Line Quad Rinks in West Chester (some games may also be played at Center Ice in Oaks). The Middle School team is available for players in 5th through 8th grade. Multiple divisions are available to accommodate both experienced and developing players. Practices and evaluations will begin in September. The season consists of 15 games (starting in October) plus practices. This past season, Great Valley combined with Phoenixville to field two teams: One team in the No Check National division, and one team in the No Check Development American division. Games are mostly played on Sunday afternoon/evening, or Monday and Friday evenings. Registration is made through the Great Valley website. Players will also have to sign a waiver on the Ice Line website. Great Valley will try to roster all players, although there may be some cases where your son or daughter may need additional practice before they are ready to play at a given level. In these cases, you may be asked to join the taxi squad. Your player will practice with the team, but may not be in the lineup for games until they are ready. 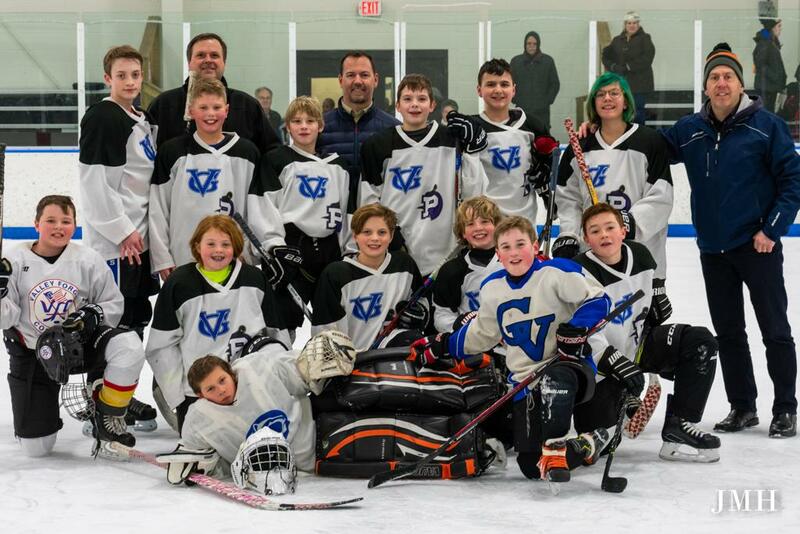 Great Valley participates in the Inter-County Scholastic Hockey League (ICSHL). 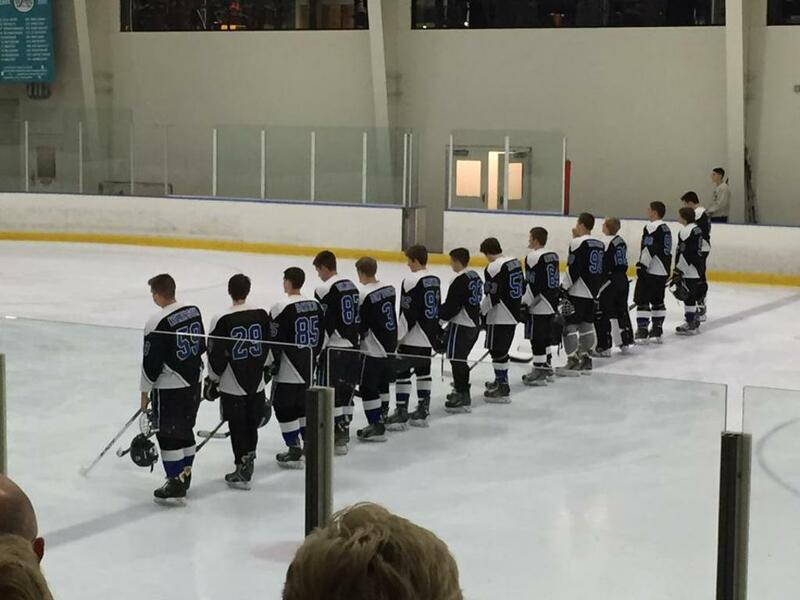 The ICSHL is made up of High School Hockey teams from Southeastern Pennsylvania and Delaware. For the 2018-19 season, there were 37 Boy's Varsity Teams, 14 Girls Varsity Teams, and 28 JV Teams. Great Valley did not field a Varsity team for the 2018-2019 season, but had a combined JV team with Conestoga HS. Varsity teams compete for Division Championships with playoffs at the end of each season. ICSHL Varsity Teams also compete by invitation in the the annual Flyers Cup post season Tournament. Flyers Cup winners compete for the Pennsylvania State Championship against championship teams from the Penguins Cup, representing the western half of the state. JV Teams compete in a year end playoff for the Presidents, Sammartino and Dugan Cups. ©2019 Great Valley Hockey / SportsEngine. All Rights Reserved.